It's easy, healthy, and cheap. Sometimes you’re craving a red sauce that’s different from your typical tomato sauce. That’s where red peppers step in to save the day — the sweet, smoky flavor of roasted red peppers will have you wondering why you were ever so dedicated to tomato sauce in the first place. Combined with the creamy tang of goat cheese and a little bit of kale for a colorful dash of nutrition, you’ve got an easy, healthy and cheap pasta that’s ready in no time. This is a great springtime twist on a classic dish that will satisfy your creamy cravings without weighing you down, all while packing a mean nutritional punch. 1. Bring a medium pot of lightly salted water to a rolling boil. Add pasta and cook according to package directions, or about 9 minutes, until al dente. 2. Place kale in the bottom of a colander. When pasta is finished and ready to be drained, pour over the kale so that the leaves wilt. 3. Using two forks or a pastry cutter, mash up the red peppers until desired consistency is reached (you can leave it chunky or nearly liquefy them if you wish). 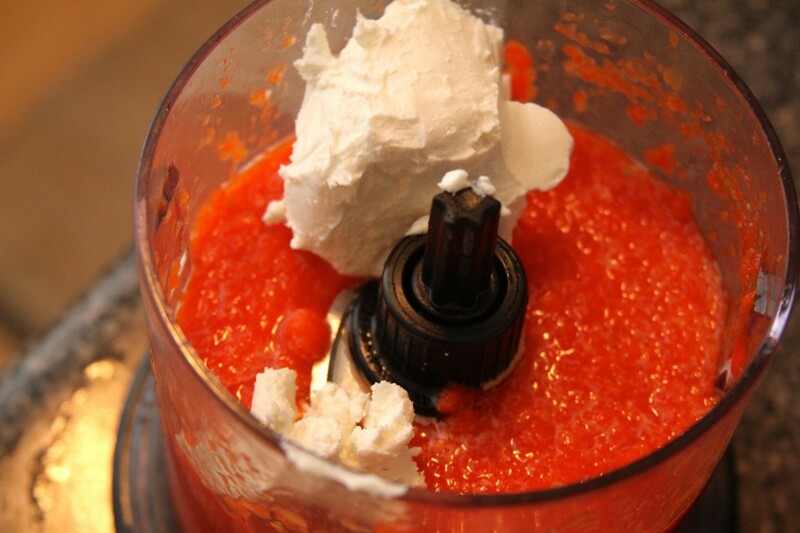 If you have a food processor or blender, blend the peppers in there to speed up the process. Add in goat cheese, garlic and salt, and mash or process together until a well-combined sauce forms. 4. 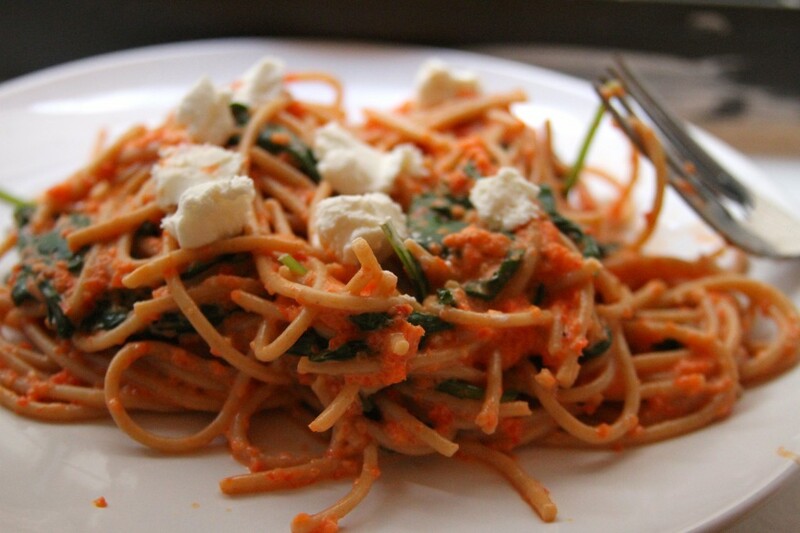 Mix together pasta, kale and red pepper sauce in the pot until combined. Serve immediately.